This splitter cable is for splitting 1 DVI source signals to 2 DVI displays. This is splitter cable. You can only connect one input device (i.e. 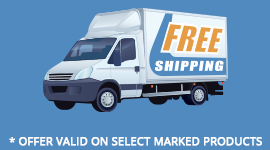 computer video card, DVD player, cable box or satellite receiver) to two output device (ie TV, projector, or 2 DVI-D monitors). You can't connect two input devices (ie DVD player, cable box or satellite receiver) to one output device (ie TV or projector). WARNING: Splitter should NOT be used with lengths of cable beyond 10ft, or signal loss will occur. 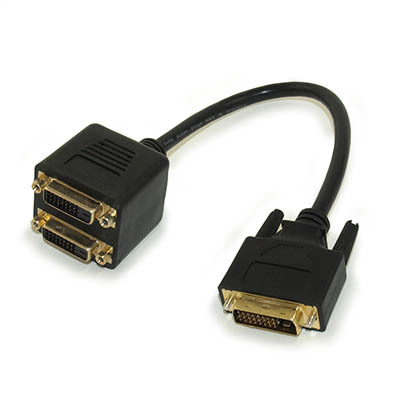 See our related product to right for a powered DVI splitter. Split digital signals from cable boxes, satellite boxes, DVD, or other devices to a TV may not successful display their images if the signal is tested for HDCP compliance.